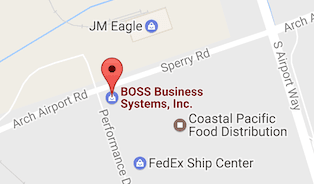 FAQs - BOSS Business Systems, Inc.
Voice over Internet Protocol (VoIP) is a method for converting analog audio signals like voice on a telephone into digital signals that can be transmitted over an interconnected network. How is this useful? Because of the low costs that VoIP technology can provide, businesses are changing their PBX systems from analog or ISDN to VoIP-based PBX systems. VoIP can turn a standard Internet connection into a way to place free phone calls. Since the transmission occurs over the Internet, no additional cost is incurred. However, while the operational cost of implementing a VoIP network is beneficial, there are challenges. The G3 fax kits used in our bizhub engines are designed to function over analog voice telecommunication lines, while VoIP is designed for the transmission of digital data over an IP network. The data passed between the two environments needs to be converted. The reason for this is that fax communication uses the signal in a different way than regular voice communication. When VoIP technologies digitize and compress analog voice communication, it is optimized for voice, not for fax. Therefore, G3 fax may on occasion not work properly when used in a VoIP environment. This is the case for many fax vendors since the proper functionality depends on the matching between analog G3 fax technology and VoIP technology. Fax was designed for analog networks, and does not travel well over a VoIP network. Konica Minolta can offer certain fax settings as a workaround; in many cases there has been success with our G3 fax-enabled MFPs working in several VoIP environments. However, as a company it is difficult for Konica Minolta to have detailed information on all VoIP services available. Consequently, we cannot guarantee functionality in all VoIP environments. To create a searchable DOCX or XLSX file, the optional Upgrade Kit UK-204 and i-Option LK-110 are required. 1. Turn Character Recognition Setting to “On”. 2. Set it to the desired language. 4. Choose DOCX under File type after you exit the screen in step #3 above. 5. You may also choose XLSX to scan in the Excel format as well. 6. Procede to scan the document just as you would any other document by choosing the desired destination and the scanning it. 7. Your scanned document will show up as an editable word file at your scan destination. There are many types of paper in the market place that you can choose from. Does buying the cheapest paper actually save you money in the long run? Many times cheaper quality (and cost) paper will cause more jams, more downtime, waste more paper and more employee labor than you save as compared to higher quality paper. Every machine is designed with different factors in mind. These factors will influence what type of paper you can effectively use in your Konica Minolta machine. Konica Minolta publishes paper guides for each model with a list of tested brands that have been proven to work properly in your equipment. • DO NOT cut your own paper. It leaves burrs that cause jams and many times is not cut to the exact intended size. • Ensure that your paper grain direction is going in the proper direction. This can make a huge difference in decreasing jams as well as the paper breaking while folding. • DO NOT store your paper in an open package as this makes it far more susceptible to moisture and the elements. It can also get dusty as well as folded or bent. In addition, when you are getting paper that is curling when it exits the machine in most cases it is caused by damp paper or paper not made to run in your machine. • Make sure you have selected the proper paper weight settings for the thickness of your paper on your machine. This is a very common reason for jams that we find when servicing copiers. • Make sure that you are not running too heavy of paper that is outside the specs of your particular machine. • If you must feed thick paper or thin paper, use the paper path the has the least amount of turns. Many times this will be the bypass tray or the manual paper tray on the right side of the machine. So save yourself some money and time and purchase quality approved paper for you Konica Minolta Copier. 1. Download the Google Drive or DropBox desktop application to your computer. 2. Once you have your Google Drive or DropBox folder on your desktop of your PC or Mac, make sure it is a shared folder on your network. 3. Follow the simple instructions to set-up scanning to folder from your bizhub. 4. Ensure you select the DropBox or Google Drive as the folder that you want to scan to. 5. Once set-up anything you scan to this folder will automatically be sync’d to your cloud account for either service. First off, many softwares deal with black and white as what is called “CMYK Black”. This is mixing all four colors to make black. When the copier receives this information from your computer program it then “clicks” you for a color page even though it looks black and white on your screen. Realize that there is nothing wrong with the machine. It will correctly “click” what has been sent to it. If your program sends CMYK black, you will be “clicked” for color as it has used all 4 colors to make your print. Behold we have a solution! Developed by BOSS. Introducing Page Converter. You can try it at www.pageconverter.com.